One of my all-time favorite bands is AC/DC. I’ve loved them from the beginning and I was shocked and saddened to hear today that Malcolm Young, the co-founder and guitarist for AC/DC passed away at the age of 64. They say that he had dementia for the last three years. I had no idea. Young and his brother, Angus, founded the legendary rock band in 1973. AC/DC is one of the greatest bands to ever exist. I was a huge fan in college and I still listen to them every day. I just can’t believe he’s gone, it’s like losing part of myself. Today it is with deep heartfelt sadness that AC/DC has to announce the passing of Malcolm Young. Malcolm, along with Angus, was the founder and creator of AC/DC. With enormous dedication and commitment he was the driving force behind the band. As a guitarist, songwriter and visionary he was a perfectionist and a unique man. He always stuck to his guns and did and said exactly what he wanted. He took great pride in all that he endeavored. His loyalty to the fans was unsurpassed. As his brother it is hard to express in words what he has meant to me during my life, the bond we had was unique and very special. He leaves behind an enormous legacy that will live on forever. Both my husband and myself mourn Malcolm Young’s passing. You will be missed by so many. What a loss. 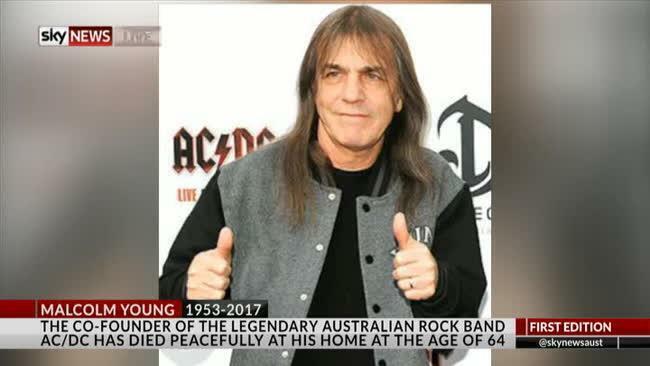 In 2014, AC/DC announced Young would be taking a leave of absence because of his health, which turned out to be dementia. According to Young’s family, he died peacefully with his wife O’Linda and his two children at his side. The Young brothers lost their older brother George Young, the Easybeats guitarist and AC/DC’s longtime producer, in October at the age of 70. As rhythm guitarist for AC/DC, Malcolm Young was the perfect compliment to Angus Young’s arena-stuffing riffs. After forming AC/DC in 1973, the Young brothers would be credited as co-writers on every song the band recorded from their 1975 debut High Voltage through 2014’s Rock or Bust. Their final album marked AC/DC’s first without Malcolm, who announced in September 2014 that he would permanently leave the band due to dementia. 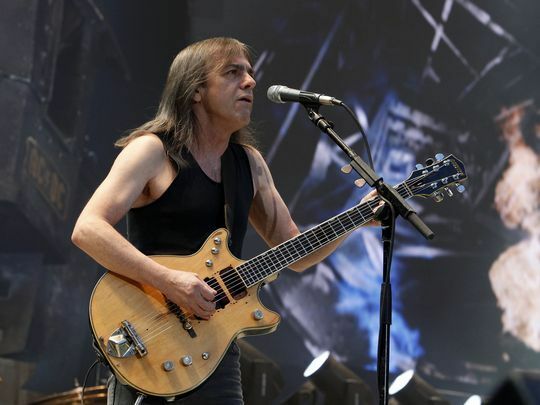 Malcolm Young last performed live with AC/DC when their tour for 2008’s Black Ice concluded in June 2010 with a concert in Bilbao, Spain. Malcolm Young was one of the best rhythm guitarists in Rock n Roll. At one time he struggled with a drinking problem, but overcame it. We all have an expiration date and Malcolm’s time was today. One of the greats in the history of rock-n-roll, his passing is a very sad thing for me. I’ll leave you with several of their biggest hits and you’ll see what I mean about the genius and talent of AC/DC. There are many, many more you should listen to.